The sale of alcohol in supermarkets attracts a lot of attention facing accusations of promoting binge drinking through cut price booze, lowering prices to squeeze out independent retailers and generally not being open to small, local producers due to quantities needed. Also, the impact on publicans has been quite vocal over recent years. The focus could be on spirits but much of the reference in the media focuses on beer. They seem to ignore wine for some reason. A lot of this is to do is rooted in the fundamental economic models of multiple-retailers, such as their need to satisfy and achieve certainty in their supply-chains etc. For example, it was reported that Walmart was selling macro beers at about cost price so they can be the largest single beer retailer in America (and possibly the world). 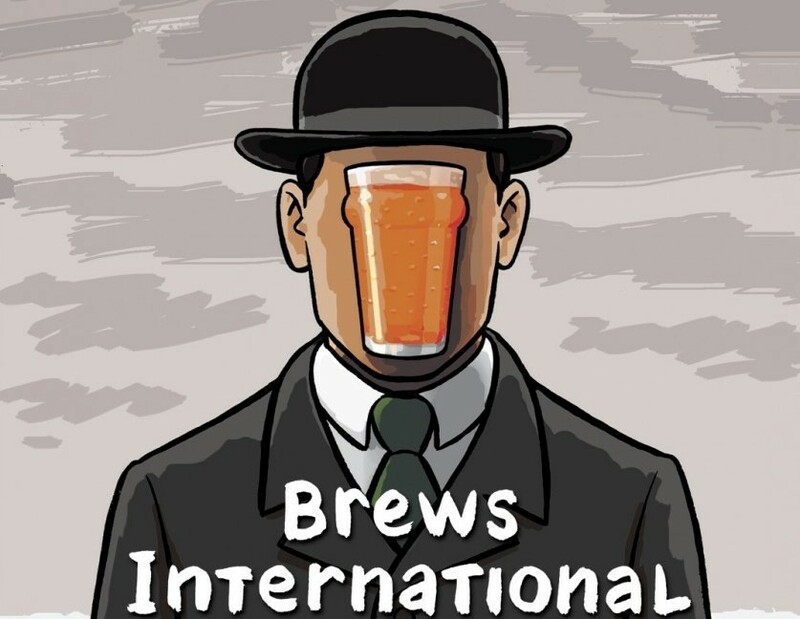 The US market is perhaps unusual due to individual State restrictions on alcohol such as not being allowed to sell wine and beer together or others where selling high abv beer is banned. 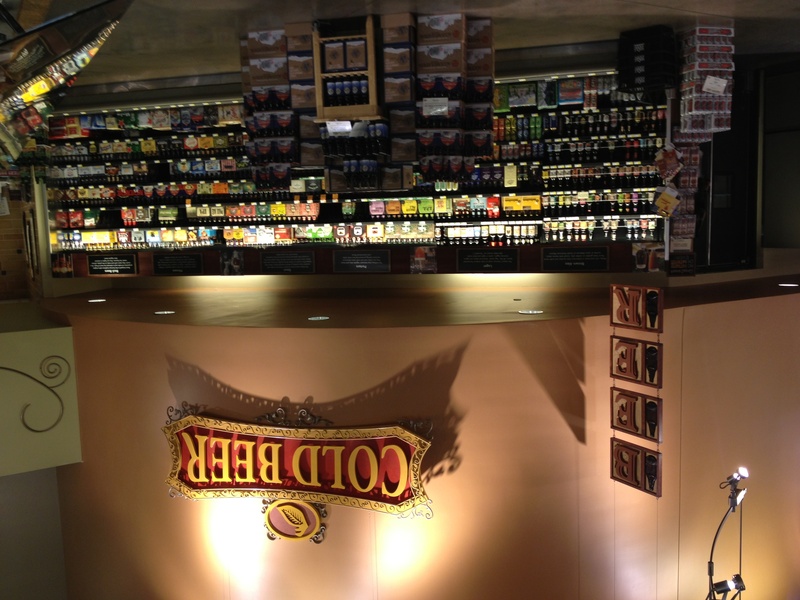 Supermarkets’ greatest strength is their convenience and this is where they can make a significant contribution to boosting the popularity of beer. 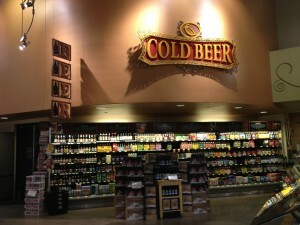 Some supermarket chains are doing some interesting things in the beer space. Sainsbury’s operate the Great British Beer Hunt, which runs on a regional basis in the preliminary round where successful beers are stocked for 3 weeks (Barney’s Brew from Hilden was a regional winner in 2013) before two overall winners are selected for a six-month listing across the UK. US specialty chain Whole Foods Market only sells products that meet its self-created quality standards for being “natural” and thankfully beer can be right at home here. 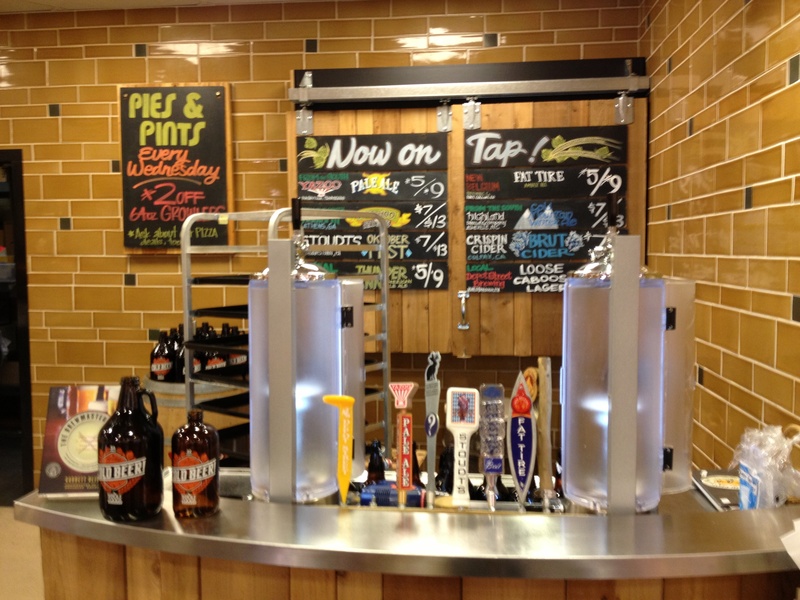 I came across one in Nashville that besides a well-stocked beer aisle, it has a growler station pushing local brews, but they also do meet-the-brewer events and pizza and beer evenings in-store while shopping. Whole Foods has also brought growler-fills to some of its UK stores and thankfully for people looking for off-sales in down-town London (distinct lack of off-licences), their Piccadilly store has some good bottle beers in stock. 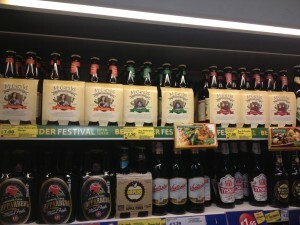 In Ireland, we have seen offerings from English breweries becoming more commonly available on Irish supermarket shelves. Is this simply reflecting the sourcing operations being located in the UK? Perhaps this is similar to other food producers trying to get a listing. However, we’ve also seen a number of Irish producers (aside of course from the usual suspects) being available in the supermarkets here. 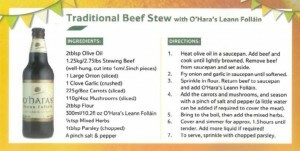 O’Hara’s can be frequently spotted either under itsr own name or that of O’Shea’s in Aldi. Some of the Porterhouse beers came be spotted here and there as well. Of the newer breweries, Bo Bristle made a big push on the drink-at-home market through Marks & Spencers and SuperValu is pushing Brú Brewery and others as part of their Irish Craft Beer Sale. 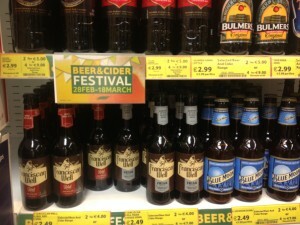 What inspired this piece is that Tesco is currently having an in-store beer and cider festival. Supermarkets used to push wine festivals and events but now they appear to trying to get into the beer scene in a big way. Of course they will be looking for session or gateway beers that some might call them, beers. The key to them is being accessible and honest so they attract the widest possible audience. Shelf space is at a premium and volume is of course key. 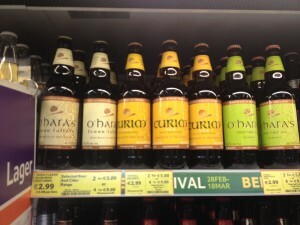 Perhaps we’ll see a time where some Irish beers become more “mainstream” they’ll be sold principally in supermarkets and the more specialty items will continue to be found in specialty stores and pubs. 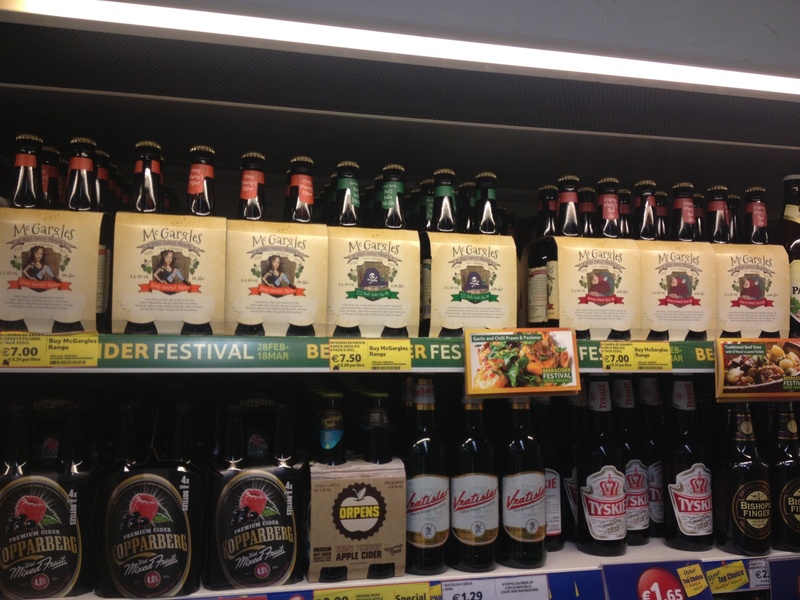 Some of the Irish beers might fall outside the “craft” definition due to not being independent, such as the Franciscan Well Red Ale & Friar Weisse that appeared in my local Tesco (situated beside their new half-cousin Blue Moon). Distribution channels are the hidden hand of the beer industry and tie-ups can mean better access. However, we cannot forget what increased choice could do for the industry: consumers trying new beers, liking them and searching out new and different types, a similar tale that most of us could relate to. The McGargles range has also popped up in Tesco. Taking inspiration from the presentation of beers in US retailers, the McGargles beers are pre-packaged in four packs (it’s quite hard to buy individual bottles of beer in the States because they’re keen on the six-pack). Their branding is extremely visible and rather impressively occupies prime real-estate on the shelf too. 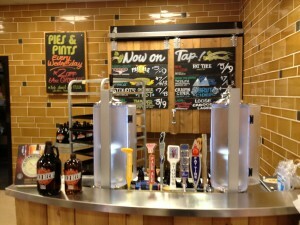 The other things that supermarkets can help push the positioning of beer alongside food. I’m not talking about the occasional pizza and six-pack deal they might offer. Tesco currently have a menu card (I only saw one, hopefully there’s more) for a traditional beef strew with O’Hara’s Leann Folláin. They’re clearly trying to up their game in terms of presenting beer to their customers, in that it not only pairs does well with food, it could also be a fantastic ingredient. Of course the super market chains will continue to push the macros and this will continue to fuel negative press coverage. If minimum pricing is ever introduced, the focus will still be on the higher volume items. Nonetheless, newer breweries will continue to pop up because of their potential to grow their share of the beer market.